The song sang by Johnny Lee from legendary movie soundtrack “Urban Cowboy” still sounds quite modern in the world where everyone are searching for, well maybe not love, but someone to share something with. However, in the movie, John Travolta, a.k.a Bud Davis moves to Houston for a job in the city’s oil refinery industry. His Uncle Bob takes him to the local honky tonk, Gilley’s, a bar in Pasadena, co-owned by singer Mickey Gilley and his record producer Sherwood Cryer. Bud quickly embraces the local nightlife and meets Sissy, who asks if he is a real cowboy. They fall in love, and Bud soon asks Sissy to marry him. Their wedding reception is held at Gilley’s, and they move into a brand new mobile home. Although they are in love and passionate, Bud and Sissy have many quarrels. Sissy is a feisty, independent woman, while Bud believes in traditional gender roles. However, their lives settle into a routine of work by day and Gilley’s at night, where Bud likes to ride the mechanical bull. When Sissy also wants to ride, he forbids her from doing so. Nowadays, even the real cowboy can meet his honey but he doesn’t have to go to the Gilley’s anymore. We have Tinder, OkCupid and many other dating apps. But did you know that more and more dating apps out there are now using blockchain technology, which are readily available to everyone. The use of this relatively new tech is aimed at helping singles address one of the biggest problems in online dating – transparency. For those who use traditional dating apps, there is nothing more frustrating than meeting up with some who completely misprinted themselves on their online profile. 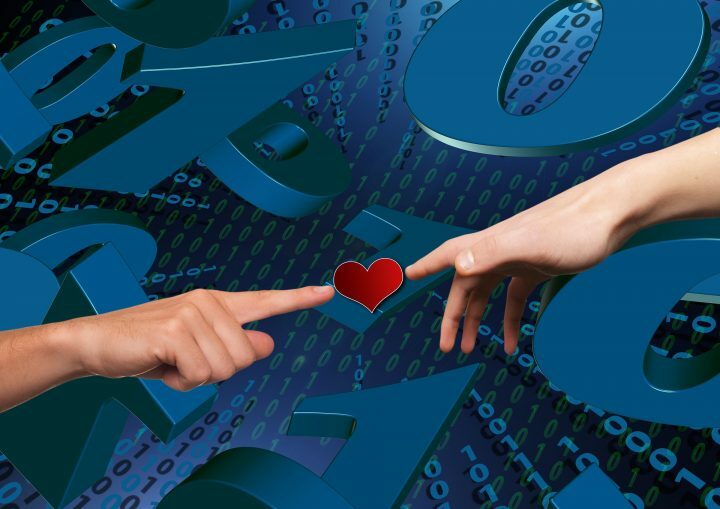 Older models based on sites like eHarmony have given way to gamified systems like Tinder and its contemporaries, but the equation has remained mostly unchanged. Users create profiles intended to exhibit the best possible impression (sometimes to the point of exaggeration or lying) before other users make selections based on limited information if they are interested. However, blockchain technology offers a solution to this problem. One of the biggest issues dating apps face a problem that has existed since inception – honesty. In the real world, people have fewer chances to lie about certain aspects of their identities, especially in relation to physical appearance and other easily verifiable details. Apps have made attempts to punish users, but there is no real mechanism to prevent the problem in the first place. Blockchain, on the other hand, has a ready-made solution designed to address the problem. Blockchain technology is built on the idea of full transparency and immutability, two factors that play a large role in verifying users’ identities while maintaining the option of privacy. Because users can freely share information which will remain anonymous, but which is easy to verify on a chain, identities are thereby easier to validate. Companies like Viola and Hicky have both implemented blockchain solutions that increase transparency by requiring users to verify their identities. More importantly, blockchain helps companies offer strong incentives for good behavior such as undergoing a verification process or adding more details to a profile. This in turn promotes a more transparent ecosystem that lets users feel confident while avoiding scams, fraud, and dishonest users. If you find yourself alone, sitting at the private dock of your bay – look no more. In order to become a member on Luxyr, you have to prove that your annual income is $200,000 or more. Ok, ok. If you have only $198,000, you can still become a member – if you look good enough and other members vote for you. If you take a photo of yourself holding a Cartier diamond ring – it can also help. Just saying. It can cost as much $450 to use the app, and the amount can be paid using bitcoin. Hicky sees the blockchain as perfect for dating apps as it offers the opportunity for incentive structures to create trust between users, the app, and each other. In order to make this incentive structure a reality, Hicky has developed its own HKY token as a method of using the platform. Actions are based off of the HKY token, which allows the platform to self-regulate and eliminate people who act poorly or misrepresent themselves. Hicky initially awards users tokens upon registration for the app. When making an account, users must go through two step verification of their face in order for the app’s artificial intelligence to verify they are who they say. Next, they must record a vocal sample which helps weed out scammers who may pose as someone they are not in order to extract money out of unknowing users. Cartier ring is still an option of course. However, the site isn’t strictly used for dating. Due to the transparency blockchain provides, Ponder can also be ideal for finding people in a context that requires a high level of trust – like roommates and babysitters, for example. Luna will use machine learning to find you the best matches. Algorithms are trained via your behavior in platform, and refined with opt-in feedback from your experience in person. When meeting in person, you’re invited to verify the meeting and provide compatibility feedback. This data is processed internally to train our machine learning algorithms on what matters — quality of connection. As Luna grows, so does the fidelity of each connection. There are plenty of ways to meet your other half whether your goal is buying a mobile home or scoring that diamond ring. Just remember – no one wants to discover that the real cowboy means he rides only mechanical bull.